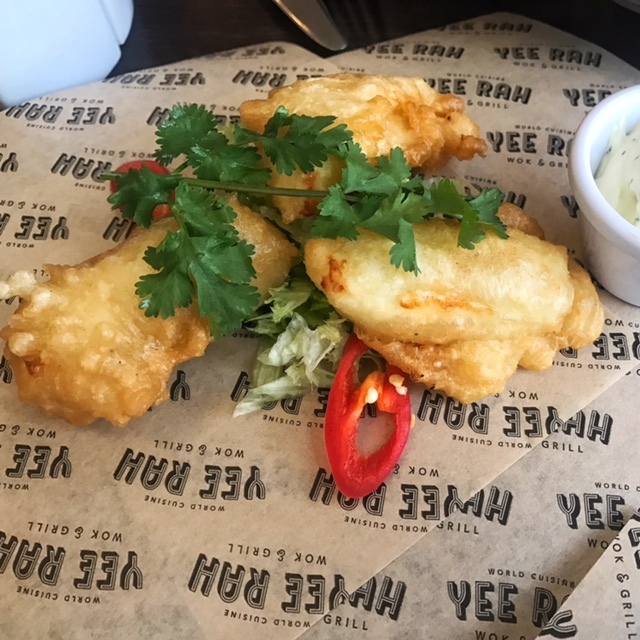 Given it's location, sitting alongside some of the biggest food chains in the country, you'd be forgiven for thinking that Yee Rah was one of many. Not so. 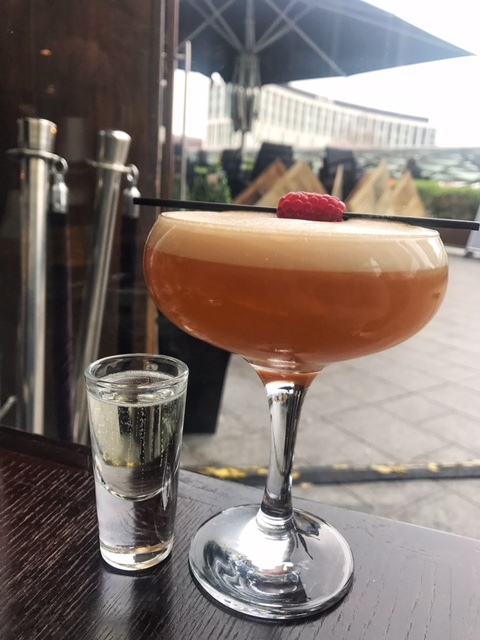 Unlike it's sister restaurant, Chaopraya, there's only one Yee Rah and it's right here, slap bang in the middle of Liverpool One's hottest restaurant real estate. Looking out over Chevasse Park, the restaurant is a huge space with a fabulous glass front that make this place light, bright and airy even on the dullest of days. Shots of prosecco, what could go wrong? The menu here is 'inspired by travels in Asia' with some peri peri chicken, steaks and fajitas thrown in for good measure. A tad confusing for me I'll admit, but perfect for people with fussy kids (or grandparents) I'm sure. 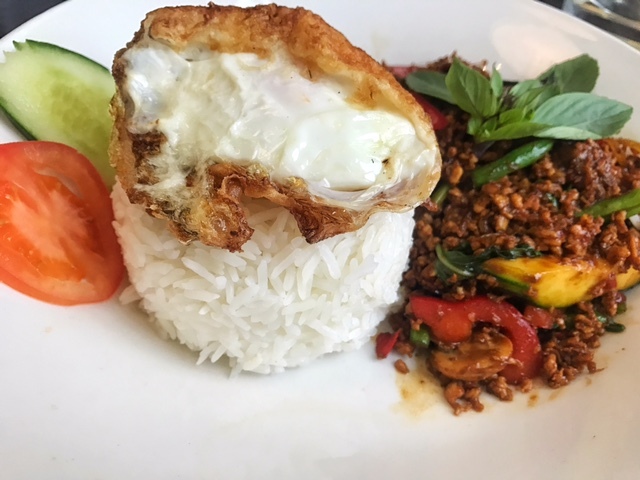 We already had our hearts set on some spice so ignored the more traditional grill options and went straight in for the Thai. By which I mean, I ordered a Thai-themed cocktail, that's kind of the same though, isn't it? Starters were chosen in a similar fashion. 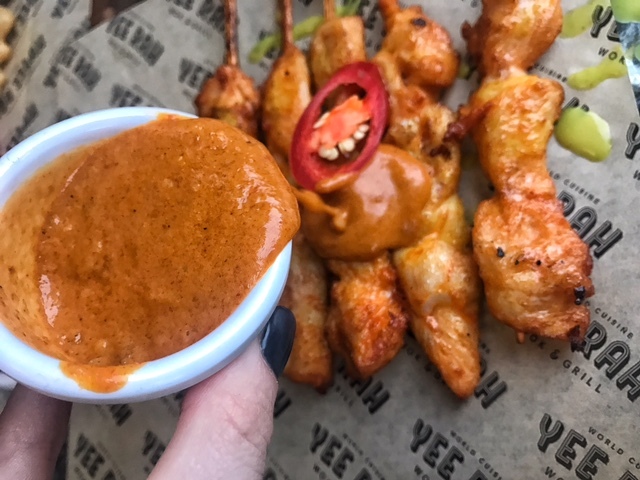 A super soft Chicken Satay was served with a sweet, crunchy peanut sauce that I would have happily bathed in. Tempura Prawns were also good, and sizeable too with a good ol' pot of sweet chilli for dunking. 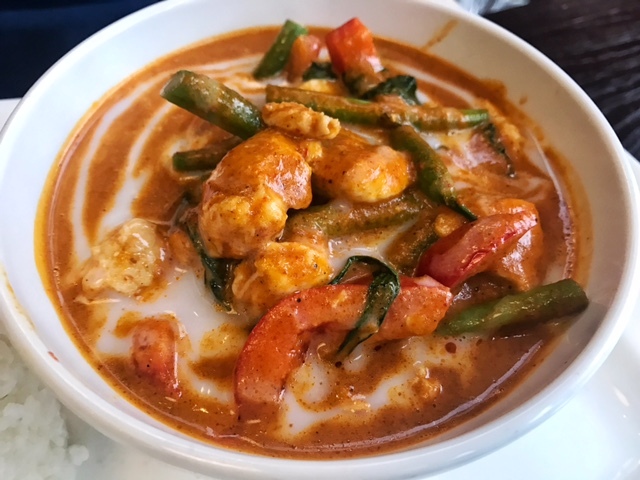 Never one to stray far from a theme, for mains we went for a Panang Curry. 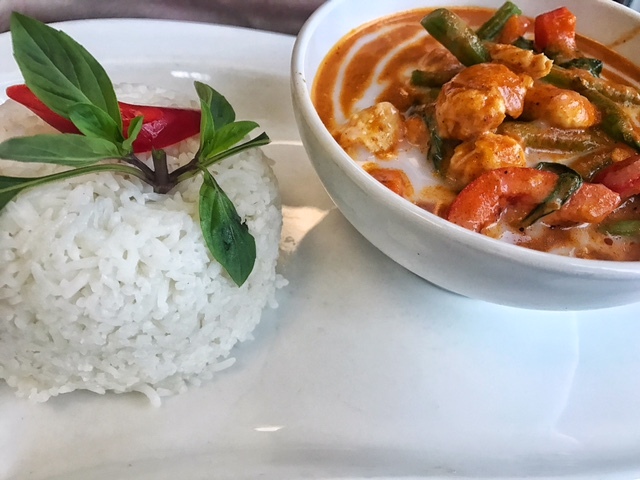 A bit like a Thai red, only with a lot less chilli and much more creamy. Despite it's gentle nature on the spice front it was still full of flavour and served with sticky rice to soak up all the sauce. My dish, grandly entitled Thai Holy Basil Stir Fry really packed a punch. 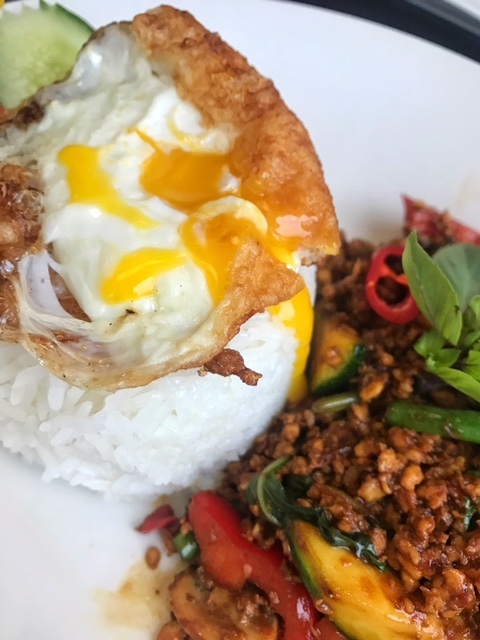 Stir-fried chicken mince with a tonne of chilli, oyster sauce, peppers, beans and mushrooms made for a fiery mouthful tamed only by more sticky rice and a very welcome addition of a fried egg. 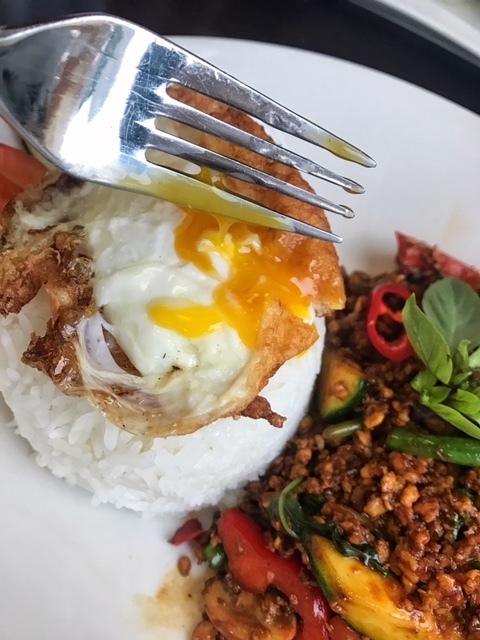 Ridiculously crispy and miraculously still runny, the yolk combined with the mince to create a rich, thick and saucy mouthful that was hard to put down despite being full to bursting. 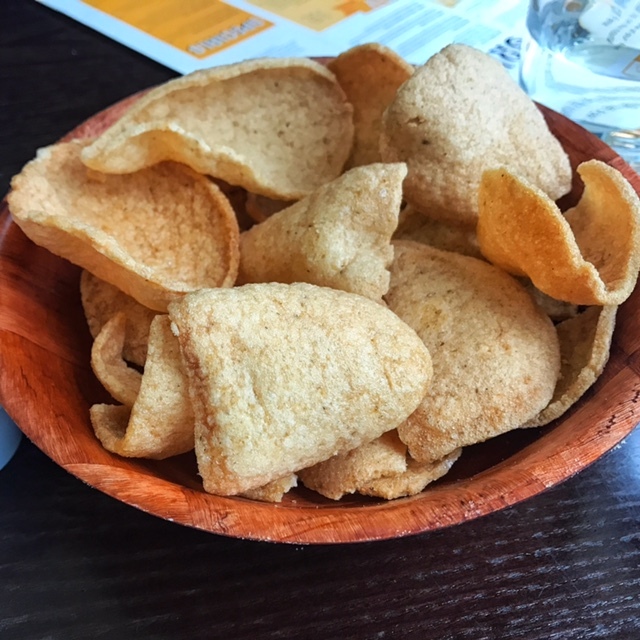 (We may have also munched our way through a bowl or two of Thai prawn crackers). Thai Holy Sh*t it's spicy. Having never been to Thailand, or er.. anywhere in Asia for that matter, I can't vouch for it's authenticity. That said, everything we ate was delicious and the staff were an absolute dream team despite us visiting right in the middle of the Saturday madness. 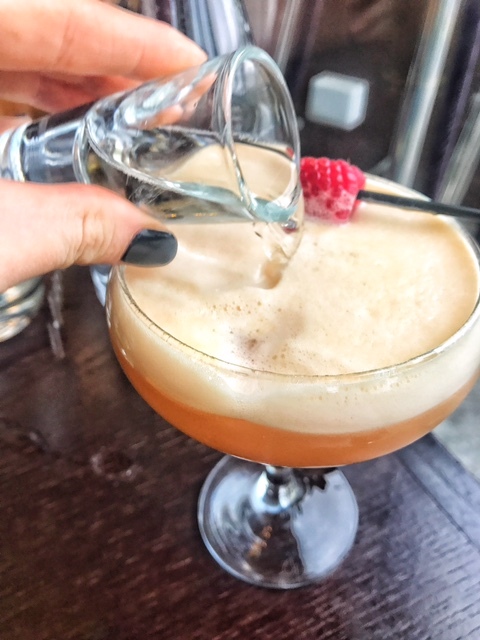 I used to waitress in an L1 restaurant* and believe me, keeping a tight ship when you have that many customers in and out the doors is not an easy task, but one that the Yee Rah staff handled without breaking a sweat. 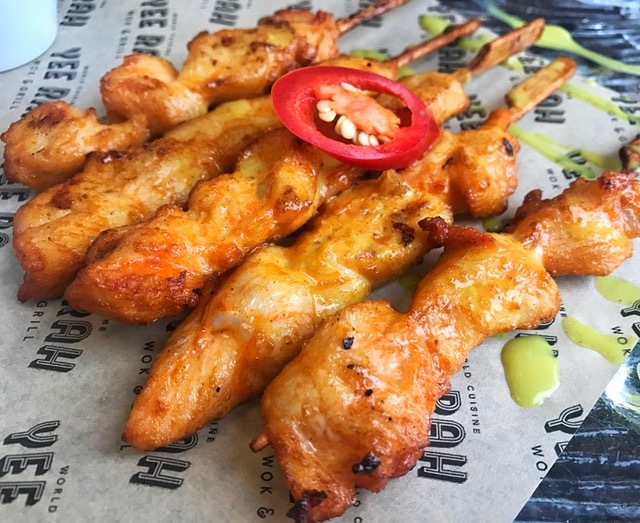 While I don't usually entertain a menu that tries to be a crowd pleaser, it's fully understandable given it's whereabouts that Yee Rah want to cater for families, and if so, they're doing a good job of it. 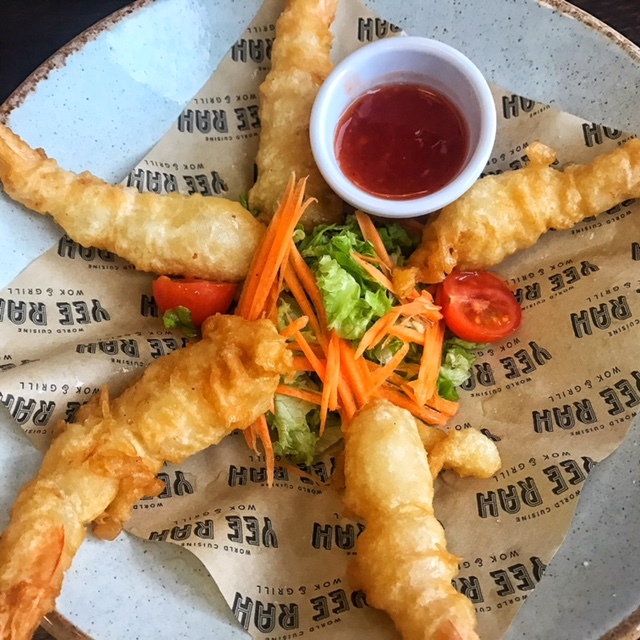 There's a super cute kid's menu offering Singapore noodles and fried rice alongside a mammoth 'Monster wok challenge' if your mad uncle wants to try channelling his inner Adam Richmond and taking down an entire wok full of food. As for me? The food was undeniably good and they've got a cocktail list to rival the Las Iguanas offering. All they need now is a Happy Hour and I'd happily while away the hours in the sunshine on their terrace. * Yes I was a terrible waitress and no I do not want to talk about it.